For millennia, human beings and plants have evolved with one another in a symbiotic relationship. We take care of the plants and they take care of us. Plants grow when and where we need their nutritional and healing properties. This is true wherever you may live. In fact, your home town is probably covered in healing medicine, and more likely than not, you have these useful herbs growing in your backyard. Unfortunately, in our modern world, we view these plants as nuisances and weeds instead of the little green miracles that they are. Every hiker has felt the painful sting of nettles. Most people try to kill the dandelions in their yard. However, these two herbs are valuable medicines that should be harvested regularly instead of eradicated from your lawn. Both dandelions and nettles are rich in vitamins and minerals. Dandelions are full of calcium, magnesium, iron, B vitamins, and vitamins A and C. Nettles are abundant in iron, calcium, potassium, silicon, magnesium, manganese, zinc, B vitamins, and chromium. Modern day food is severely lacking in vitamins and minerals, so it is especially beneficial to consume these herbs daily. Most of us could use more B vitamins in our lives. They boost our mood, reduce our stress and increase serotonin production when combined with vitamin C, of which dandelions have plenty. Serotonin will promote calm moods and deep sleep. This is especially helpful during the dark days of winter when many of us suffer from seasonal depression. Both nettles and dandelions contain high levels of calcium, which builds strong bones and teeth, and is essential for healthy nerve function. Calcium prevents nervousness, irritability, muscle spasms, cramping, hyperactivity and insomnia. Taken over time, both dandelion and nettle tea will restore and build energy within our bodies. Forget Red Bull–these teas are nature’s energy drink. Dandelions will cleanse the liver and blood, aid digestion, lower your blood pressure and cholesterol, regulate blood-glucose levels, stimulate the digestive system, and are great for constipation. They are a diuretic and mild laxative. 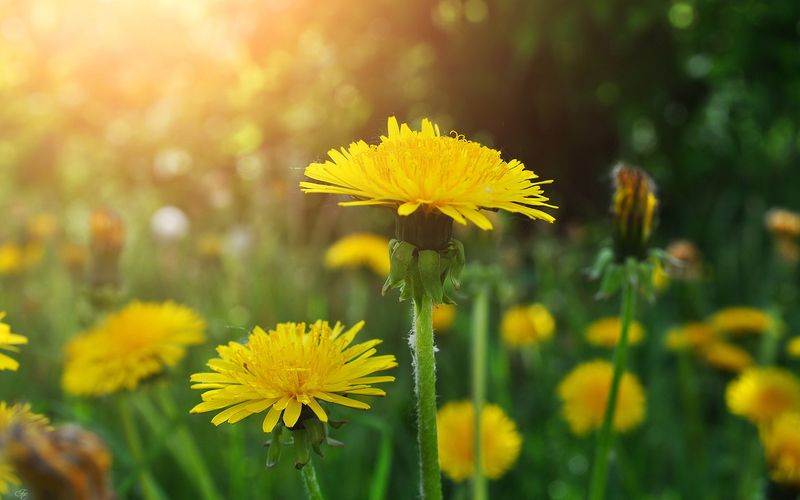 Dandelions relieve inflammation and congestion of the gallbladder and liver, and are Commission E-approved for urinary infections and appetite loss. Drinking the tea regularly will even ward off herpes outbreaks. 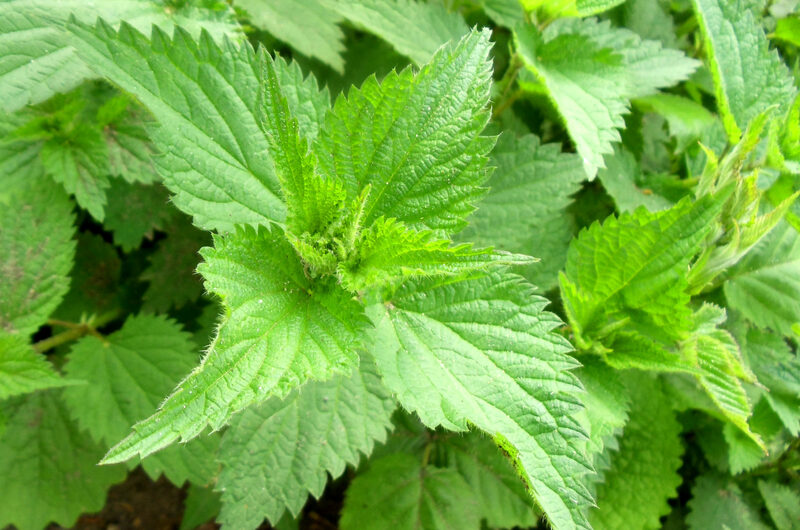 Nettles are helpful with treating allergies, asthma and cough. Nettle tincture can be used for flu, colds, pneumonia and bronchitis. Dried nettles are an effective styptic when applied to wounds. Drinking nettle tea regularly will make your skin clearer, and treat eczema and psoriasis. The tea can also be used as an effective hair and scalp tonic. If you are feeling worn out or mentally exhausted, drink nettle tea to reduce your stress and tone your nervous system. The land is teeming with Mother Nature’s healing medicines. Try your hand at foraging wild dandelions and nettles.  Create teas, tinctures, poultices, and healthy meals from your own backyard. Take care of the plants and they will take care of you.